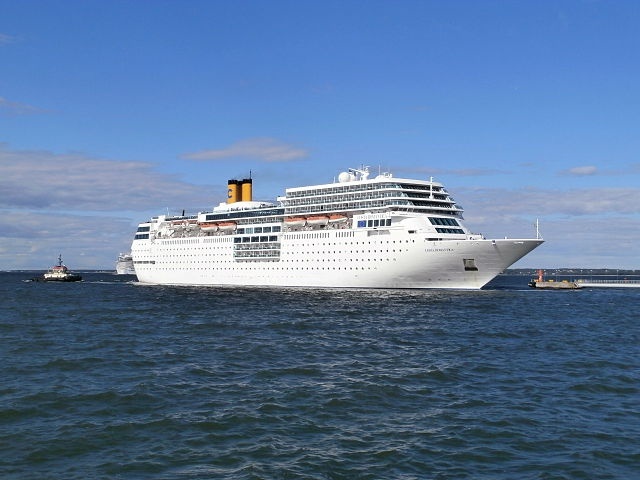 (Seychelles News Agency) - The number of cruise passengers visiting the Seychelles archipelago via Costa Cruises is set to double over the next two years. The popular cruise company signed an agreement with the Vanilla Islands alliance on Thursday at the Top Resa Tourism Trade Fair in Paris. The regional association of Vanilla Islands was created in August 2010 to promote tourism in the Indian Ocean, comprising seven regional island nations: Seychelles, Madagascar, La Réunion, Mauritius, Comoros, Mayotte and Maldives. According to a press statement issued by the Seychelles Ministry of Tourism and Culture, the agreement was signed between Costa Cruises Executive Vice President for Sales and Marketing, Norbert Stikema, and the CEO of the Vanilla Islands, Pascal Viroleau, together with the Chairman of the Mauritius Tourism Promotional Authority (MTPA), Arnaud Martin, the Seychelles Minister of Tourism and Culture, Alain St.Ange, and the President of Ile Reunion Tourisme (IRT), Patrick Serveaux. 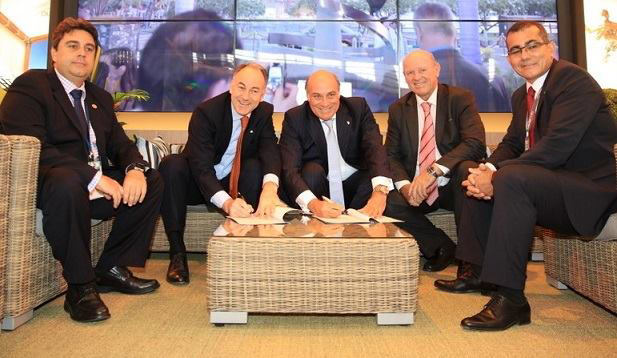 Under the agreement, which was first discussed this April in Seychelles during the 2015 Carnaval International de Victoria, Costa Cruises has pledged to not only increase the number of ports of call but also to extend the length of time the ships spend at the Indian Ocean ports as well as extending the cruise season itself to accommodate more voyages and passengers. These measures look set to increase the number of travellers, most of whom will be European, from the current 6,800 this year to 15,000 during the extended 2016-2017 winter season. According to a press statement issued by Costa Cruises, the first extended 14-day cruise aboard the Costa neoRomantica will make its departure on October 15, 2016 for a total of 11 cruises, the last of which will be on March 4, 2017. The neoRomantica will depart from Mauritius and sail to the Seychelles, where it will stop for two days and two nights before continuing on to Madagascar, with day calls at Nosy Be, Diego Suarez and Tamatave. Reunion Island will be the next stop, for one day and one night, before the ship returns to Mauritius, with a final one day and one night call, and then sails back to Europe. "We are the only company proposing regular cruises to these unique islands of the Indian Ocean," Stiekema was quoted as saying in the statement. All of the tourism ministers representing each member of the Vanilla Islands alliance will meet and travel together from Mauritius to Seychelles on the first cruise of the 2015-2016 winter season to work on the future development of the agreement. Luxury American cruise line company, Crystal Cruises, announced in August that it would also be launching a regular expedition-style cruise in December this year with a 62-passenger luxury yacht which will be exploring the pristine Indian Ocean surrounding the Seychelles archipelago of 115 islands. After suffering a decline in cruise ship tourism since a surge in piracy off the Horn of Africa in 2009, cruise liners have been making a slow but steady comeback to the tropical islands of Seychelles, famed for its powder-white beaches, lush tropical vegetation and impeccable marine beauty. Last year, almost a quarter of a million tourists visited the 115-island archipelago of Seychelles, most of them by air, and this year to date, tourism has increased by 20 percent, almost reaching the 200,000 mark, according to the latest figures from the National Bureau of Statistics.